FHA capital reserves have fallen to ½ %, short of the 2 % minimum required by congress. In part this is due to FHA insured loans gaining in popularity, and in part it’s due to a higher default rate. FHA backed loans are one of the few ways of getting a home mortgage with less than 20% down payment. So, what’ll happen? Most likely, at least in my opinion, will be an injection of capital from the Treasury. Alternatively, the minimum down payment may be raised from 3.5%, although this would chill the fragile housing recovery, and may be less politically tolerable. 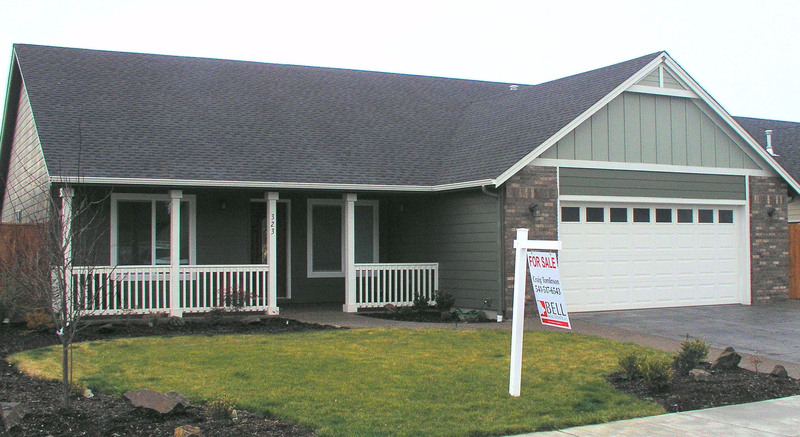 I recently sold this house on short-sale, or pre-foreclosure, to buyers who used FHA for financing. Down Payments as low as 3.5% are available through FHA. This entry was posted in Loans/Financing/Credit, Real Estate, Uncategorized and tagged Craig Tomlinson, eugene oregon, Eugene Real Estate, Eugene Real Estate Blog, fha loans, FHA reserves, Lane County Real Estate, Oregon Real Estate, Oregon Real Estate Blog, Real Estate Blog, Real Estate Information, Real Estate News, Real Estate Resource, Springfield Real Estate. Bookmark the permalink.